My greatest joy is the one hour a week I spend in the GLOW Food Ministry Pantry. I have been serving with GLOW since September of 2014 and I cannot imagine my life without GLOW. Each week hungry families are served with food, books for kids, and so much love. I often say that GLOW stands for Giving Love Out Weekly. 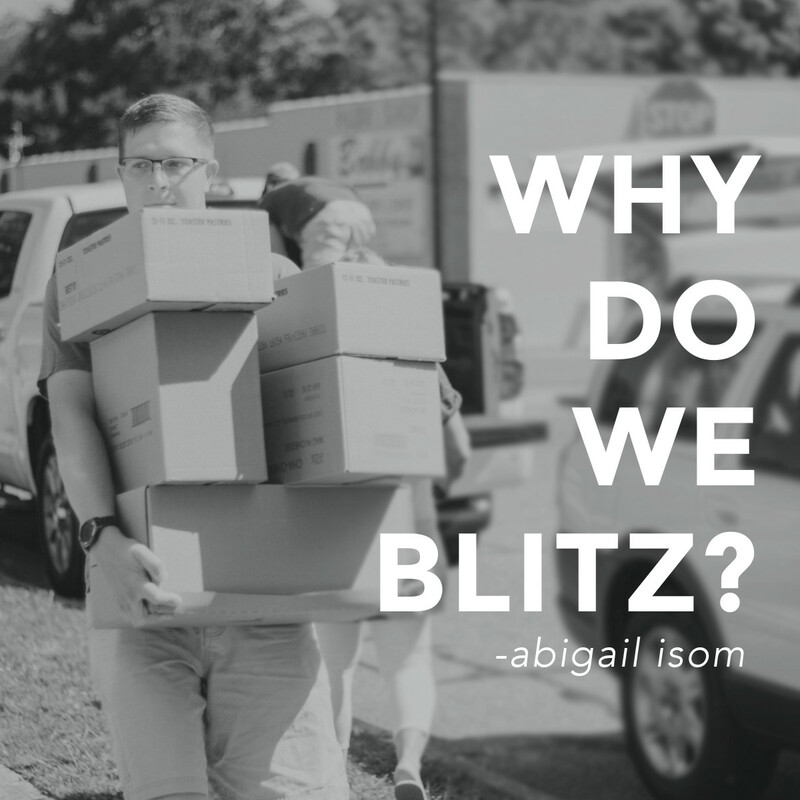 Our pantry is primarily stocked by the monthly Grocery Store Blitz, an event where families from Revolution Church meet and purchase items for GLOW. I am so thankful to those who take the time on a Saturday Morning to answer the call to serve my giving their resources, time, and muscle to help feed those in need. Sometimes close to the end of the month, when we are running low, the food often appears from unexpected places because someone answered the call to serve. The call to serve is often ignored because of our own desires or distractions, but once you answer the call there is a domino effect that takes place. Your generosity becomes someone else’s gift, that gift softens their heart and opens their eyes to love and grace that God has for them. We may never see where that final domino falls. There is a larger plan at work. Our generosity becomes clay in God’s hand and He takes it and molds it into part of His perfect plan. So why should we serve? Most importantly, because it is an act of obedience. God’s spells it out clearly in VERSE. Another reason why we should serve is that it is work that directly furthers the kingdom of God by loving those around us and meeting their needs. By meeting a physical needs, we open a door to share the Bread of Life. Finally, people who are generous and serve are just nicer to be around. This is my personal opinion, but it’s true. Join us this Saturday at the Food Lion on Garrison Blvd in Gastonia at 10:00 and be a part of giving love out weekly!